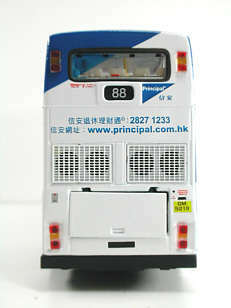 The model - announced in October 2000 is this Dennis Dragon carrying all over advertising for Principal Insurance. 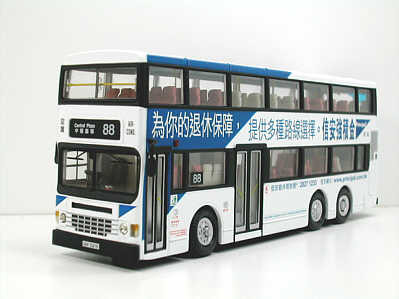 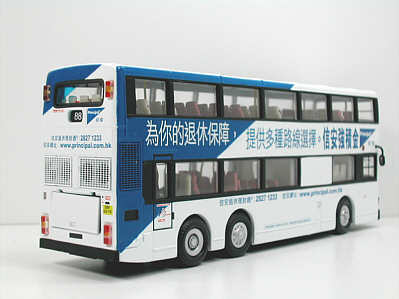 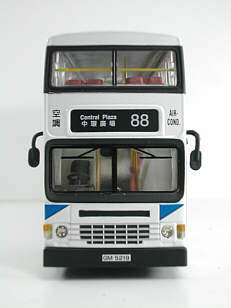 The model became available in the UK in late April 2001, and was issued in Hong Kong at a meeting of Principal Insurance on 26th April 2002. 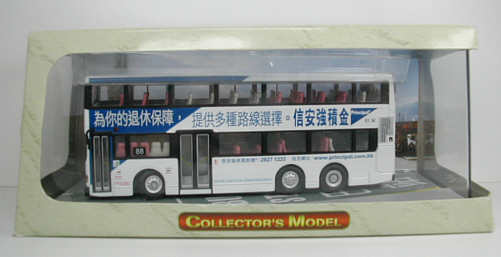 It carries no Limited Edition Certificate. 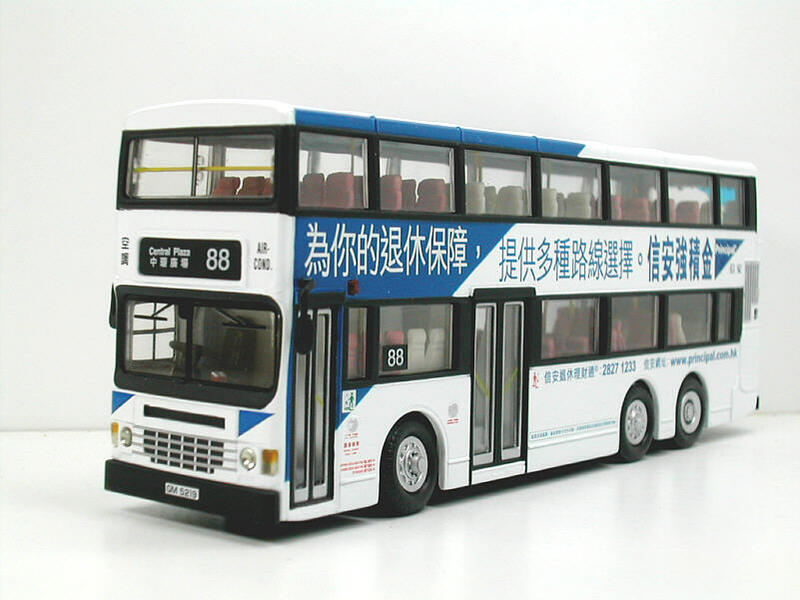 The model carries no fleet number and the route no./destination are fictitious. 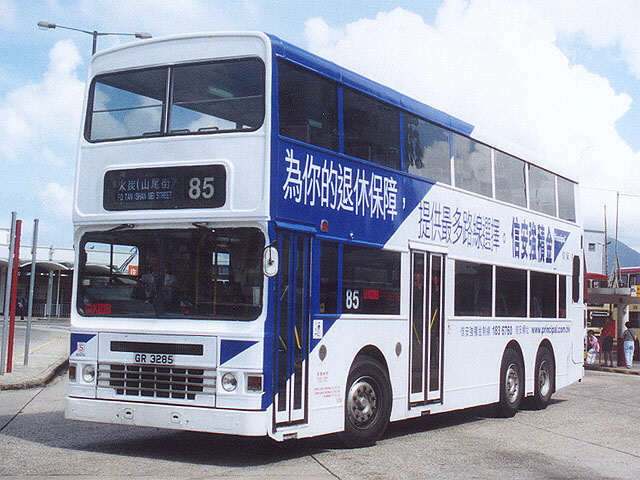 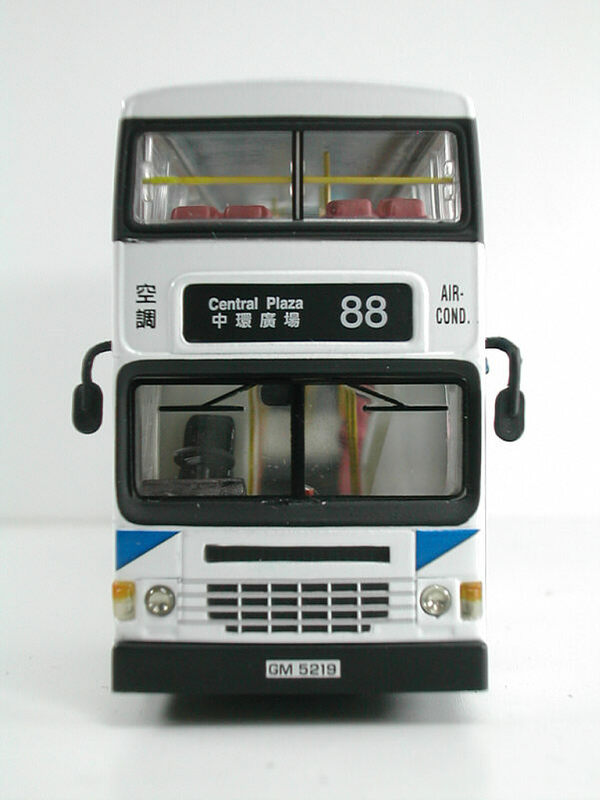 The bus - AD220 entered service in August 1995, being one of a class of 360 such vehicles introduced between 1991 and 1997.